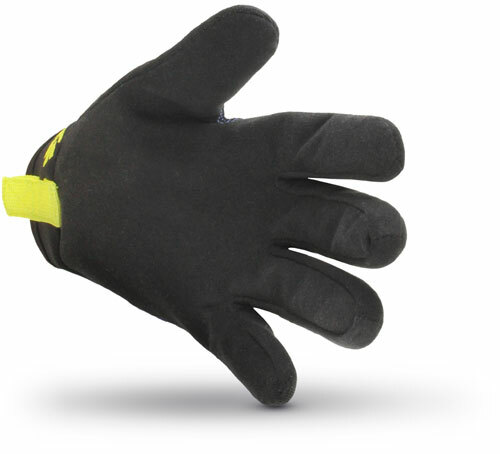 HexArmor® gloves, arm, and body protection made with SuperFabric® are engineered to arrest and deflect everything from industrial puncture hazards as jagged as a wood splinter, to a fine single wire strand from a steel braided cable. Small guard plate geometry traps and blocks the hazard, providing flexibility while preventing a puncture from reaching the skin, an event that could lead to a laceration. Puncture injuries continue to be a very real issue in the workplace. The average hand injury claim has now exceeded $6,000, with each lost-time worker’s compensation claim reaching nearly $7,500, with indirect costs costing up to 20 times more. While sanctioned safety ratings are a great starting point to judge PPE, running a trial is also key to launching a successful PPE initiative. The hazards you encounter on the job are very different than testing devices in the lab. SuperFabric® technology is completely unique, using guard plates to deflect puncture hazards when they strike. A large forestry product plant was experiencing 15 sliver injuries per month and had been unable to find a solution to this ongoing problem. The introduction of HexArmor® gloves and arm guards to the Weyerhaeuser laminate and veneer plant resulted in reducing recordable injuries from 15 per month, to ZERO reported! * SuperFabric® is the registered trademark of Higher Dimensions Materials, Inc. (HDM) at 570 Hale Ave, Oakdale, MN 55128. HDM is the owner and supplier of SuperFabric® Brand Materials. HexArmor® is an exclusive licensee of SuperFabric® Brand Material.